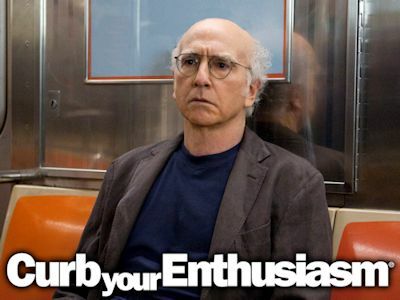 TV Land launched reruns of the HBO comedy Curb Your Enthusiasm in February by adding it to its late night line-up but now it is getting the boot in late night during the week. It's getting kicked to the curb. The comedy was airing every night from 2-3am and Sunday late nights from 2-6am, but the Mon-Sat airings have been now dropped. The comedy, which has been a big bust in syndication (TV Guide, WGN, local stations, etc. ), is now only airing Sundays from approx. 3:30-6am. More That '70s Show has replaced it on the schedule, with Ashton and company airing Mon-Sat approx. 2:30-4:30am. TV Land just launched The Golden Girls this weekend, so now their focus has shifted to that series that fits the schedule much more than Curb. Betty White's '80s series is having a week-long primetime tribute this week to each Golden Girl character from Mach 18-21, 7-10pm. Then, fans take over the air! Viewers can go online now (hurry, voting closes at 11:59pm ET on Wednesday, March 20) and choose their favorite episodes on TV Land's Facebook Page, then watch the results on Friday, March 22 from 7-10pm. TV Land also has new reality series Forever Young premiering Wednesday, April 3 at 10pm for 5 weeks (to us it seems like a burn-off airings 10 episodes in 5 weeks and a series that really doesn't fit TV Land). The series, from the mind of Ashton Kutcher comes a unique social experiment: what happens when fun-loving, uninhibited twenty-somethings are unknowingly picked to live and work with strong-willed, opinionated seventy-somethings? As they compete in challenges designed to bridge the generation gap, they ultimately learn you don’t have to be old to be wise or young to be youthful! Anyway, stay with us for continued updates on TV Land. It doesn't seem TV Land will have a TV Land Awards event this year...well, at least not in April. Antenna TV celebrates April Fool's with a "Fumbling Fools: The Three Stooges Marathon!" on April 1! Yes, celebrate April Fool's Day with a "fool" day of The Three Stooges. Antenna TV, which airs on 71 affiliates across the U.S. reaching 62% of TV households, kicks off its annual April Fool's Day marathon at 12 midnight ET on March 31 (technically April 1) and runs through 3am ET on April 2. The Fumbling Fools: Three Stooges marathon features 27 hours of yuks with 81 episodes of the Stooges. Some of the classic episodes airing are: "Pals and Gals, Some More of Samoa, Knutzy Knights;" "For Crimin' Out Loud, Dizzy Pilots, Phony Express;" "Out West, Men in Black, Hold That Lion;" "Sing a Song of Six Pants, Restless Knights, All Gummed Up;" and "The Hot Scots, Ants in the Pantry, Heavenly Daze." Stay with us in the coming weeks as we announce the Antenna TV spring schedule that will begin in late April. What shows will be leaving and coming? You'll have to stay with us!